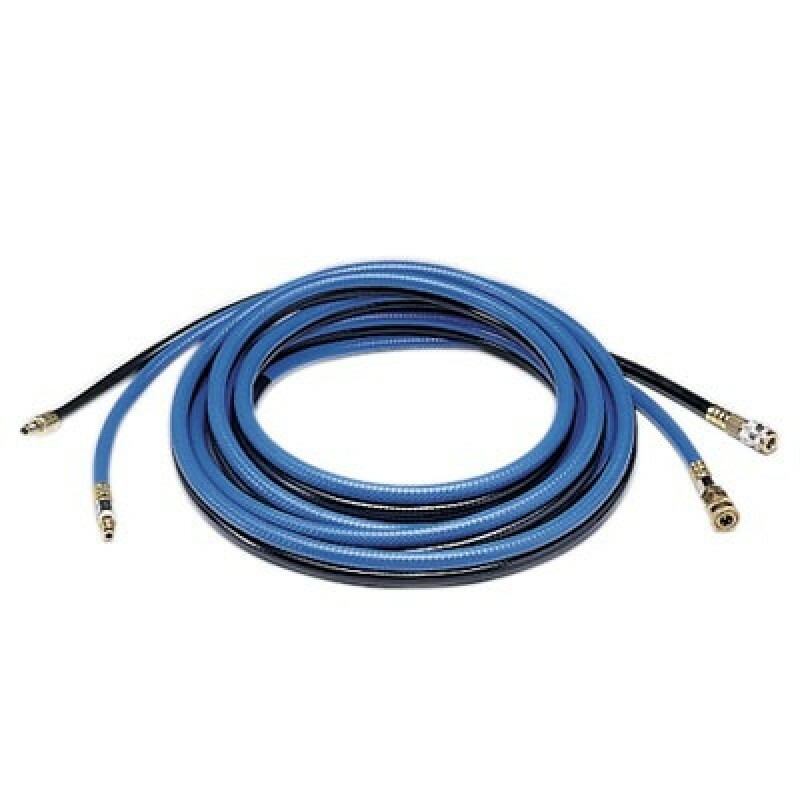 Allegro dual high pressure hose is available in 25' or 50' lengths. Hose has a 3/8" inner diameter with Hansen fittings. This high pressure hose is NIOSH approved when used with Allegro supplied air hoods.